BoardGameGeek has a game named Psychic Baseball (http://www.boardgamegee…), but not much description (“Depression era Parker Brothers Baseball boardgame. Players use cards for batters and pitchers to generate results. Full color board with pegs to marker baserunners and score.”). 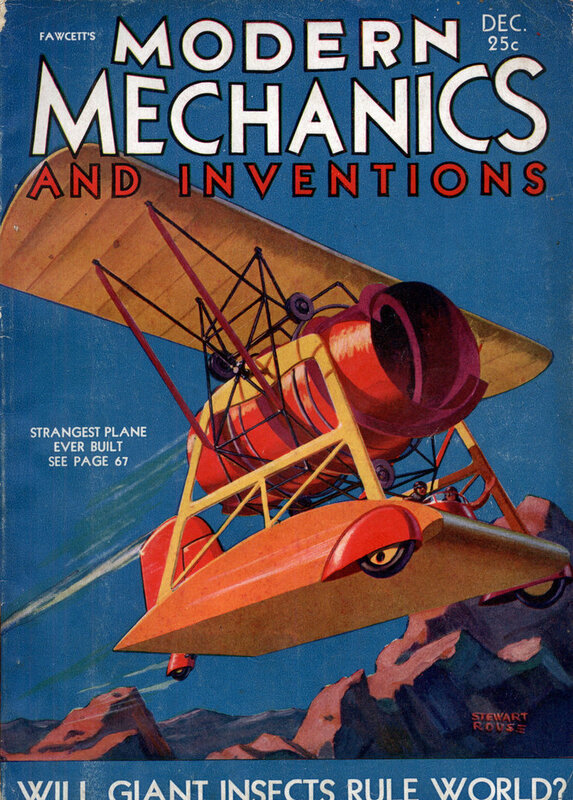 Also, it’s from 1935 and was published by Parker Brothers. Might be a different edition of the same game, though. I guess it’s a variant of Paper, Rock, Scissors; one player selects a card that represents a way to pitch, the other player selects a card that represents a way to bat, the combination of the two cards determines what happens in the game, and the fact that you need to guess the card your opponent has selected is what makes the game “psychic”. Like just about everything else, there seems to be online groups devoted to the subject of baseball themed games. “Psychic” once also had the meanings “cerebral” or “intellective”. I think it meant “doing something with your mind”. So maybe a modern translation would be “fantasy baseball”? 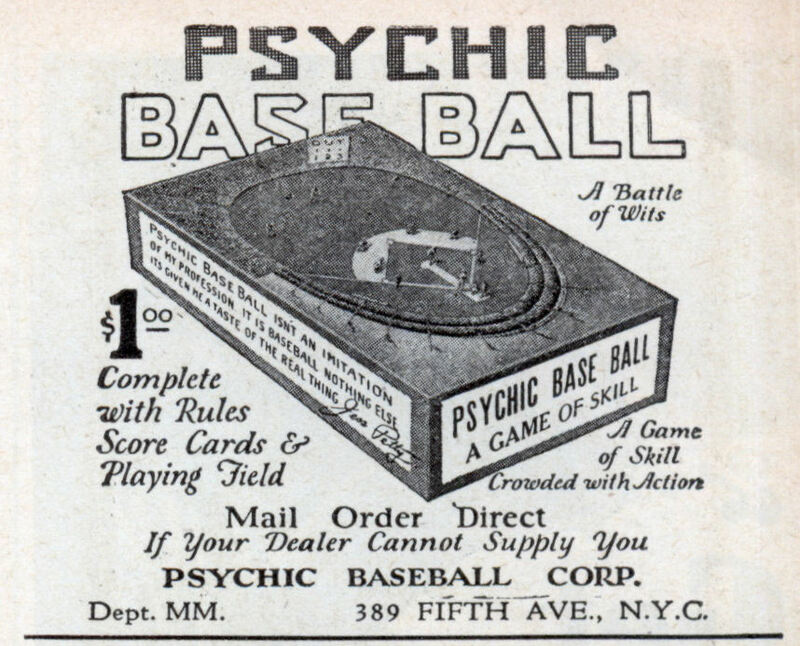 Psychic Baseball is another great name for a band. So, I guess it was something like modern Pokemon cards and whatnot? My Dad had this game as a kid, it was still at my granddad’s place. Two Player game.. played innings alternating be the picther and the batter.. Special cards where dealt .. Pitcher had a hand .. batter had a hand.. each player revealed a card at the same time.. results where determined based on the combination of cards. I have this game. When my dad was a young man he worked at Parker Brothers in Salem Mass. When they closed down he got to take alot of games.